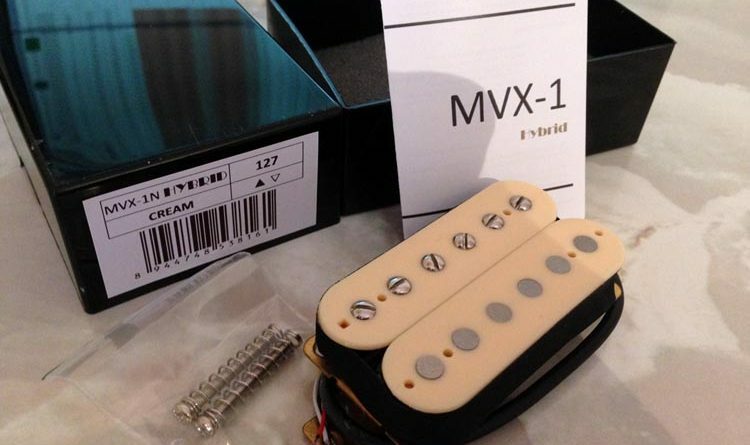 The MVX-1 Hybrid humbucker pickup set from Maida Vale Pickups, out of merry ole England. This set features a very cool selection of magnets within each MVX-1 pickup. One coil has Alnico 2 rods, where the other has ceramic bar magnets. I’m a fan of an innovative approach and I’ve enjoyed the different takes that I’ve seen when it comes to blending magnets. The MVX-1 is no exception. For a relatively new shop, Maida Vale is putting out a good looking and a quality product. Solid construction, thoughtful packaging, and comprehensive installation literature. And…. wait for it… all necessary hardware. Yeah, I know. That should be a given. But there are some out there that do not. It’s the little things that matter the most. Wait, that’s not Freudian, is it? Er, nevermind. Install is a breeze. The MVX-1 set is loaded into a 2-hum super strat with a double-locking trem. I had a little fun with the wiring during the install and went with some out of phase for a bit. Nicely jangly and twangy, which is fun for some snap on the clean amp tones. 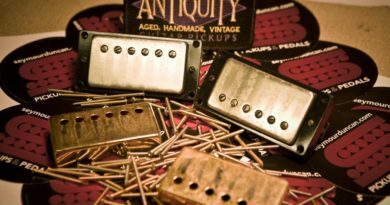 For the final install, each pickup goes to individual p/p pots for series/parallel operation. No matter a clean or dirty amp tone, the MVX-1 set is rich and bold, with focus and clarity. There’s a lot of horsepower under the hood, but things don’t get wooly or too congested. I like the way the Alnico 2 rods deliver the organic sweetness while the ceramic bars provide some precision and bite. I’m finding the MVX-1 set to be a good option for some brown sound. The specs I have on the different humbucker sets associated with Eddie since the early 90s are definitely within the range of the MVX-1 set. Plus, some of Eddie’s more known tones have Alnico 2 and some are Ceramic. Who else is digging that coil offset? Over 25%. Something else Maida Vale can manage from being across the pond are double cream bobbins. That’s right! How groovy is that? Know what else is groovy? 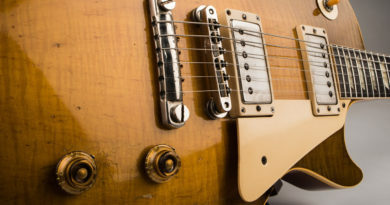 Maida Vale sells their pickups at an insanely affordable rate. For the rest of us, that takes the sting out of international shipping. For British blokes, it’s a welcome relief from native pickup companies trying to lift your wallet. 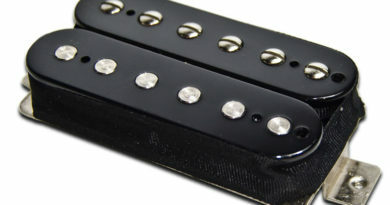 Aside from the MVX-1 set, there’s another set of humbuckers with Unoriented Alnico 5 magnets. 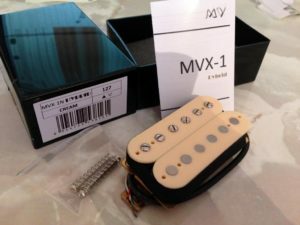 There are also the MVS-1 single coils and the MVB-1P P-Bass pickups. For reference, this Maida Vale MVX-1 pickup evaluation was conducted with a Fractal Axe-Fx II XL+ featuring Celestion Impluse Responses and Fractal MFC-101 MIDI Foot Controller. Real cabs used were Marshall 1960B cabs loaded with Celestion G12-65s, Vintage 30s and G12M Greenbacks.